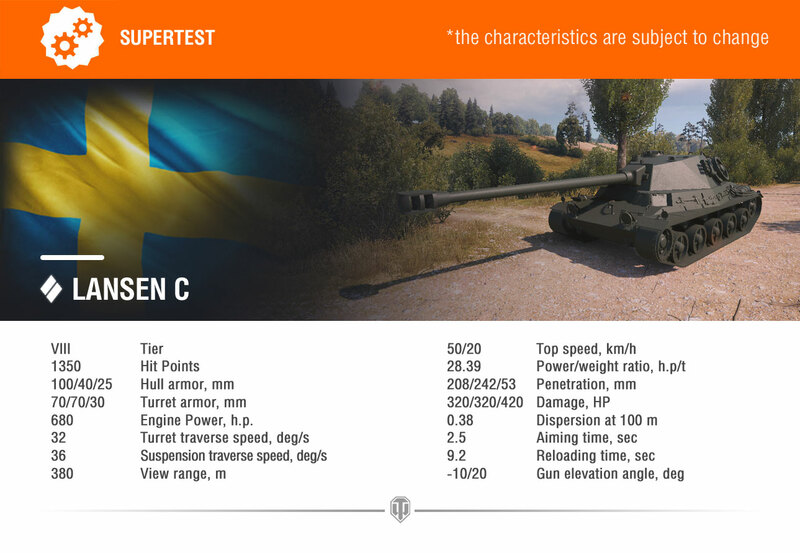 Today the Supertest will get a brand new Swedish tank to test: Lansen C. A brand new Tier VIII medium tank, that comes from the depths of the Swedish archives. 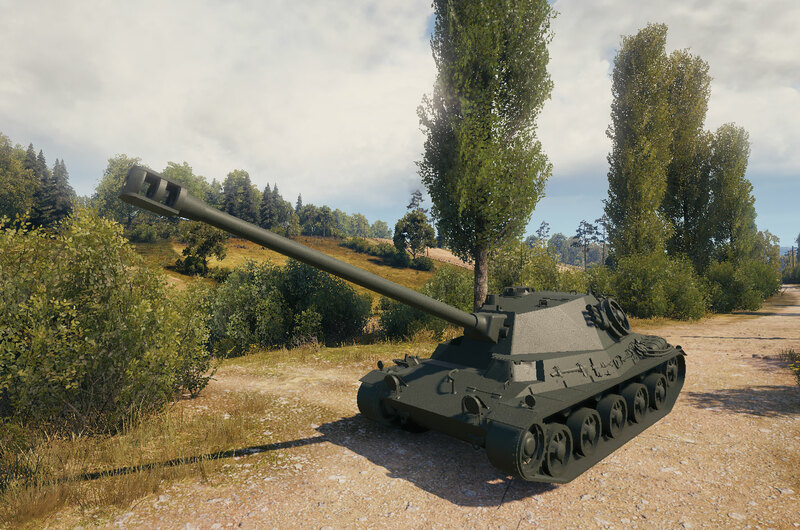 Some of you might have heard of this tank already by what it should be its name: Lansen 25t. If you want to read more about this vehicle, I recommend you check the SP15 article, published in FTR News, where he covers this vehicle together with a few others. The Lansen C will pack a monstrous power-to-weight ratio, at least for a medium tank, with an amazing 28.4 hp per ton, allowing it to reach its top speed of 50 km/h very quickly. Together with a 10,5 cm gun that will deliver 320 average alpha damage, it can quickly become an annoyance if allowed to come near its enemies. Of course, this above the average alpha damage had to come with its drawbacks, so expect poor accuracy and timing parameters. 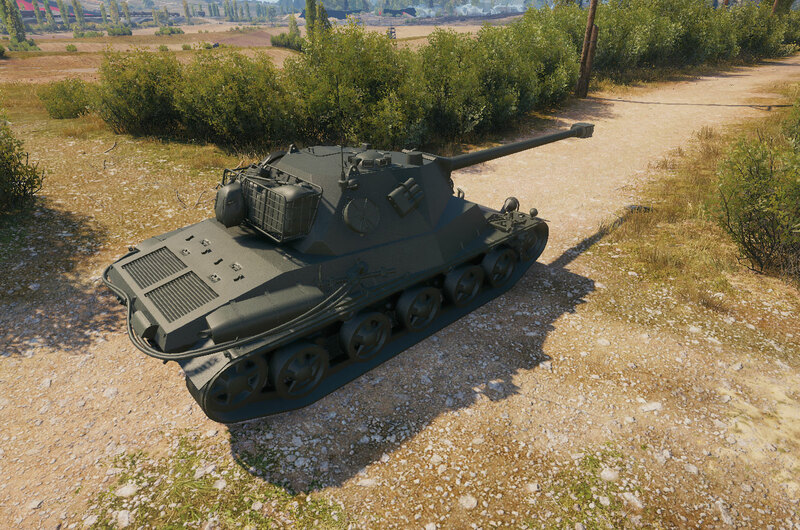 The protection isn’t amazing, while the values are OK, it’s boxed shaped silhouette won’t allow him to take its enemies head-on, but the impressive -10 degrees of gun depression, will allow it to make use of almost any hill and slope in the map. As per usual, stats are subject to change depending on test results and more news should follow soon. Let us know what you think about this Swedish tank in the comment section. A more lightly armoured, faster Lowe I see. 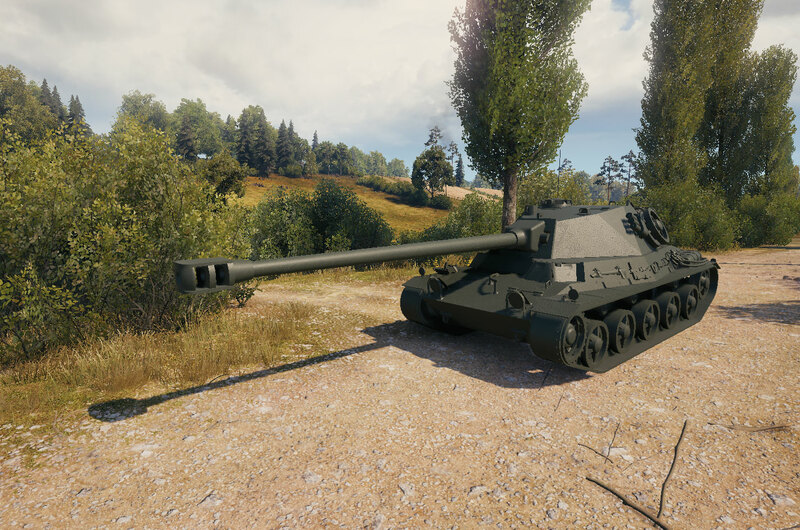 Will this be a premium tank? No, I just read that Wargaming will add new swedish medium tanks. Probably from tier 8-10. They will have siege mode so aim time and accuracy will be better in siege mode. 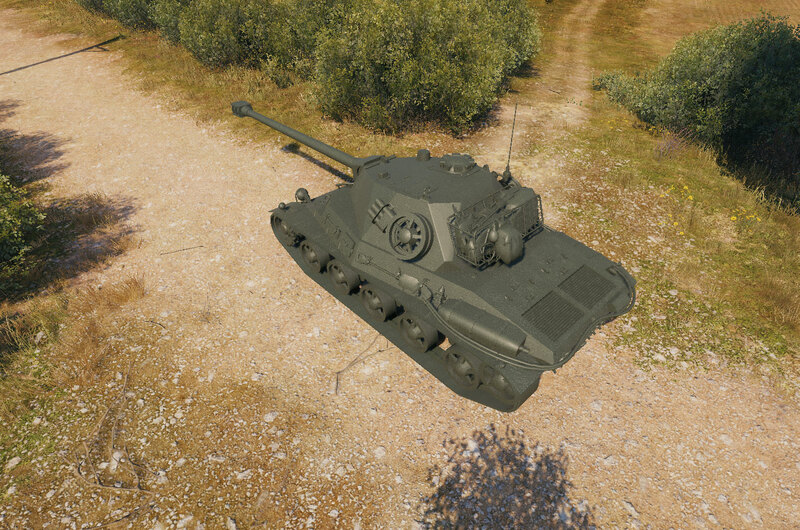 I really hope this comes as a tech tree tank. 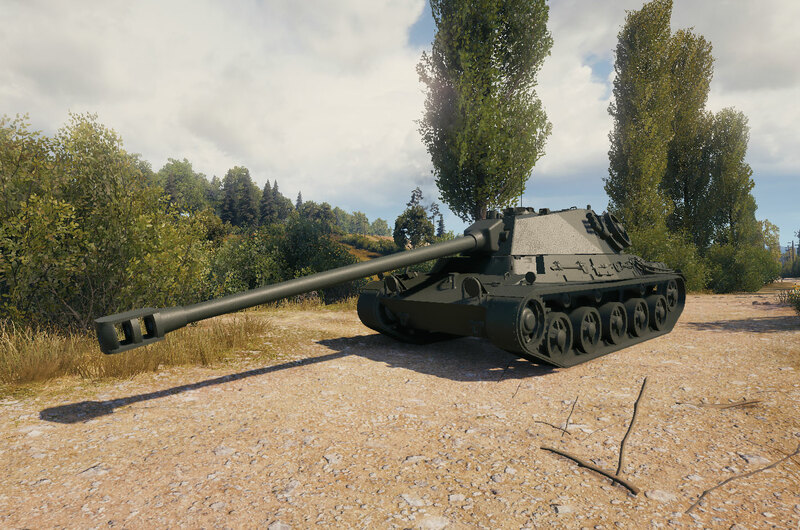 The Sweds have needed a tier 8, 9 and 10 MT and this could well be the first step to that glorious line. I really hope for a mini branch that starts with this one at Tier VIII. Training my crew with my Primo Victoria is of no much use otherwise. Previous Entry Get ready for Holiday Ops 2019!